In fact, Fox believes words should be carefully used. 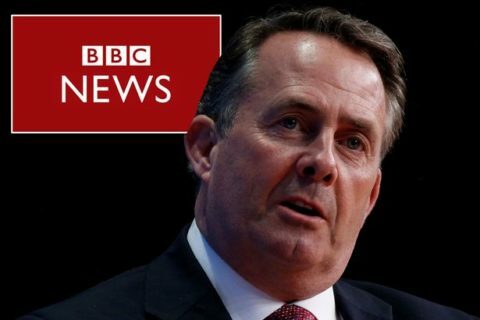 As a former GP, he insists on being called Doctor Fox and addresses colleagues in like manner; Journalist Gove, Serial Business Failure Rudd, and Congenital Liar Johnson. He books two seats when traveling on government business, one for him and one for a very special friend (no, not Adam Werritty, what were you thinking?) – his massive ego; one of very few wholly man-made structures visible from space. Although the UK wants to begin trade talks now, the EU won’t do so, despite being repeatedly told it would benefit both sides. “It’s like they can’t hear the truth.” said Fox, who says he’s always open to new ideas and indeed, completely transparent about his own affairs. Upset that the EU is negotiating in the EU’s interests, Fox still hopes they’ll help out Westminster’s own village idiot David Davis, who’s never won at Monopoly, although he’s played it every Christmas for 30 years.